It's time for them to take their shot! 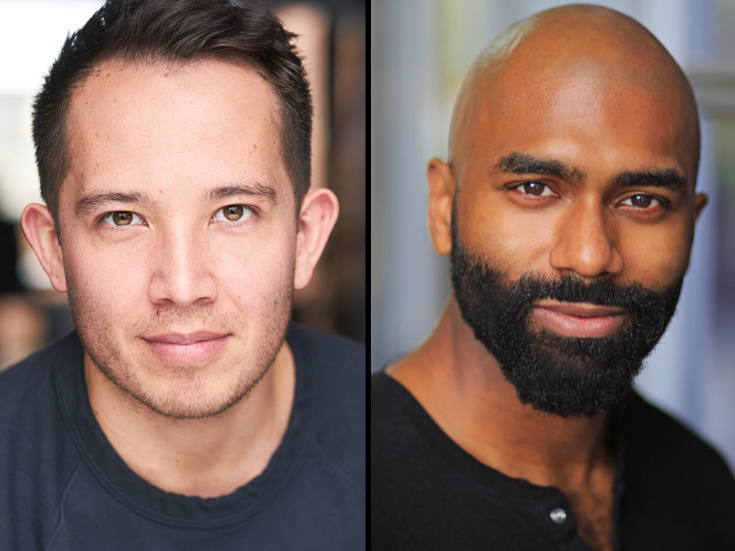 Joseph Morales & Nik Walker will lead the touring production of Lin-Manuel Miranda's Tony- and Pulitzer Prize-winning musical Hamilton. The duo will take on the roles of Alexander Hamilton and Aaron Burr, respectively. The national tour of the groundbreaking musical will begin performances on February 6, 2018, at Seattle's Paramount Theatre, before continuing on to cities all across the country. Other principal roles in Hamilton will be played by Ta’Rea Campbell as Angelica Schuyler, Marcus Choi as George Washington, Elijah Malcomb as John Laurens/Phillip Schuyler, Shoba Narayan as Eliza Hamilton, Fergie L. Philippe as Hercules Mulligan/James Madison, Kyle Scatliffe as Marquis de Lafayette/Thomas Jefferson, Danielle Sostre as Peggy Schuyler/Maria Reynolds and Jon Patrick Walker as King George. The national tour cast will also include Tia Altinay, Amber Ardolino, Conroe Brooks, Cameron Burke, Eean S. Cochran, Phil Colgan, Desmond Sean Eillington, Hope Endrenyi, Lili Froehlich, Daniel Gaymon, Camden Gonzales, Jennie Harney, Stephen Hernandez, Kristen Hoagland, Abby Jaros, Emily Jenda, Wonza Johnson, King David Jones, Carina-Kay Louchiey, Brandt Martinez, Taeko Mccarroll, Tyler Mckenzie, Justice Moore, Antuan Magic Raimone, Julian Ramos, Jen Sese, Willie Smith III and Julius Thomas III. This new company continues the run of Hamilton productions that have rolled out since the musical first opened on Broadway in 2015. A Chicago company opened in September 2016; the first national tour began performances in San Francisco in March 2017, and the West End engagement began in December 2017 at London’s Victoria Palace Theatre.